On March 6, 1989, jBASE co-founders Clive Ketteridge and Jim Idle left their promising careers at McDonnell Douglas Information Systems in Hemel Hempstead, England to do something great. Their passion and single mission was to form a truly independent database system. At the time, databases were built with their own proprietary file systems and development tools, which struck the founders as a dated strategy that restricted future flexibility. When jBASE was launched, it was a fundamentally different architectural approach to database management systems and its popularity soared. jBASE took BASIC code and “transpiled” the source to “C”, one of the most widely used programming languages of all time. Because most application technologies have a “C” interface (Java, C#, Objective C and Python all borrowed directly or indirectly from “C”) applications are instantly compatible and “fit together” without the need for layered software. With jBASE the application is separated from the data. Further, because jBASE does not care where the data resides, the possibilities become limitless. Using an innovative open and published interface called the jBASE External Device Interface, or jEDI, customers could achieve seamless integration with foreign databases. This means that any jBASE application could read and write to whichever database was required for data storage, including native jBASE database, as well as Oracle, SQL, DB2 and more. This industry-first created a powerful legacy and differentiation that lives on today. 1998 - Temenos Group AG, a publicly held banking software company based in Switzerland became a jBASE client. 1999 - Temenos made a strategic decision to acquire 100% of jBASE Software. 2002 - MPower1 International forged a partnership with TEMENOS and obtained worldwide support, distribution and existing client rights of the full jBASE product set with the exception of Temenos' own application sales. Temenos retained intellectural property rights. 2010 - jBASE v5 was released. A true 64-bit implementation. 2015 - Zumasys, a leading provider of cloud computing solutions for business-critical software applications and ERP systems, acquired the MultiValue jBASE intellectual property and source code from Temenos. In January 2015, Zumasys, a leading provider of cloud computing solutions for business-critical software applications and ERP systems, acquired the MultiValue jBASE intellectual property and source code from TEMENOS and transitioned the jBASE support team to Zumasys. Under the terms of the agreement, TEMENOS will continue to support its customers running jBASE. For 15 years, Pick MultiValue customers have relied on Zumasys to support, stabilize and modernize their applications within the context of their mainstream IT environments. With the largest team of MultiValue application developers and engineers in the market, Zumasys is in a unique position to help Pick users enhance and modernize their Pick applications. With Zumasys, customers gain an enthusiastic partner and an extensive bench of Pick engineers that boast an average of more than 30 years of experience with MultiValue systems. Going forward, Zumasys will be investing heavily in research and development, moving jBASE to the cloud and enabling the technology to reach its full potential. jBASE as a Service—For the past eight years, Zumasys has been the leader in hosting mission critical MultiValue applications. Zumasys’ cloud solution combines performance and 24×7 uptime with decades of hands-on MultiValue programming and engineering experience. Zumasys will soon launch a new multitenanted jBASE Cloud solution, jBASE as a Service, which will include the jBASE database license, maintenance and the Zumasys Cloud infrastructure bundled together for a convenient and affordable monthly fee. Mobile Access—Zumasys is currently beta testing AccuTerm Mobile, an exciting tool that provides access to jBASE and other MultiValue systems from iPhone, iPad and Android devices. Imagine accessing your jBASE system and data from wherever it is needed with no modification to your code. 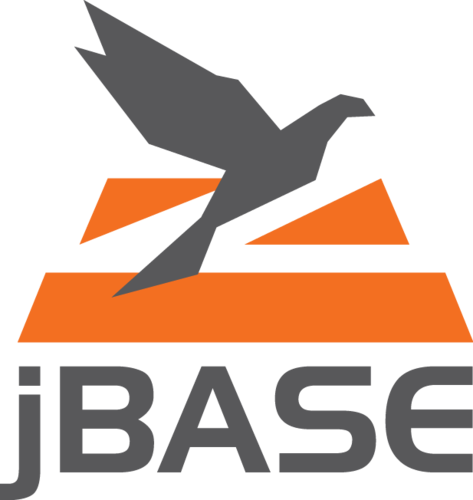 jBASE v5.2.30—Our next release of jBASE is scheduled to be available by the end of February 2015.